SAE International has released its 2016 Mobility Engineering Professionals Salary Survey and interactive online Salary Calculator. 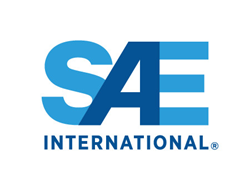 While this is the fourth time that SAE has commissioned this biennial survey, it remains the only one of its kind that examines both compensation and employment changes for engineers and technical employees in the automotive, aerospace, and commercial vehicle industries. SAE International has released its 2016 Mobility Engineering Professionals Salary Survey and interactive online Salary Calculator. SAE International has released its 2016 Mobility Engineering Professionals Salary Survey and interactive online Salary Calculator. While this is the fourth time that SAE has commissioned this biennial survey, it remains the only one of its kind that examines both compensation and employment changes for engineers and technical employees in the automotive, aerospace, and commercial vehicle industries. Similar to previous versions, this report benchmarks compensation levels based on geography, education, industry sector, experience, and managerial and budgetary responsibility. The salary survey is free to current members and available for purchase by non-members for $249. In addition to the new salary survey, the companion online interactive Salary Calculator has been updated to include compensation data from all 2016 survey respondents employed full time in the United States. By selecting different variables, such as education, years of experience, employer, and geographic location, users can create a nearly infinite number of different queries on this data. For example, what the typical current compensation is for an individual who lives in the Northeast, has five years of experience, a Bachelor's degree, and is employed by a tier one supplier. The 2016 SAE International Mobility Engineering Professional Salary Study is based on an email survey that was sent to 55,000 global mobility engineers and related technical employees. Both members and non-members of SAE International were asked a series of questions related to their respective industry, company, educational background, job responsibilities, compensation, retirement, ethnicity, and more. A total of 5,374 individuals responded, resulting in an optimal margin of error of +/- 1.8%. The salary survey and calculator are available to current SAE International Members as a free member benefit on SAE’s website. Non-members may purchase the study for $249 online. To join SAE International, click here. SAE International is a global association committed to being the ultimate knowledge source for the engineering profession. By uniting over 127,000 engineers and technical experts, we drive knowledge and expertise across a broad spectrum of industries. We act on two priorities: encouraging a lifetime of learning for mobility engineering professionals and setting the standards for industry engineering. We strive for a better world through the work of our philanthropic SAE Foundation, including programs like A World in Motion® and the Collegiate Design Series™.